Madonna and Child with Saint John by Francesco Francia. This time last year, we had recently returned from Italy. Early this year, when I so graciously told hubby I would survive without our customary spring holiday I was planning we would be there by now, this time for a longer period of at least a month or maybe two. But when you have just been holidaying for some three months at home, practically through the whole summer season, how could you justify another vacation, let alone be in need of one? Luckily, when we couldn’t go to the mountain the mountain came to us. Madonna of the Pinks from Raphael's workshop. 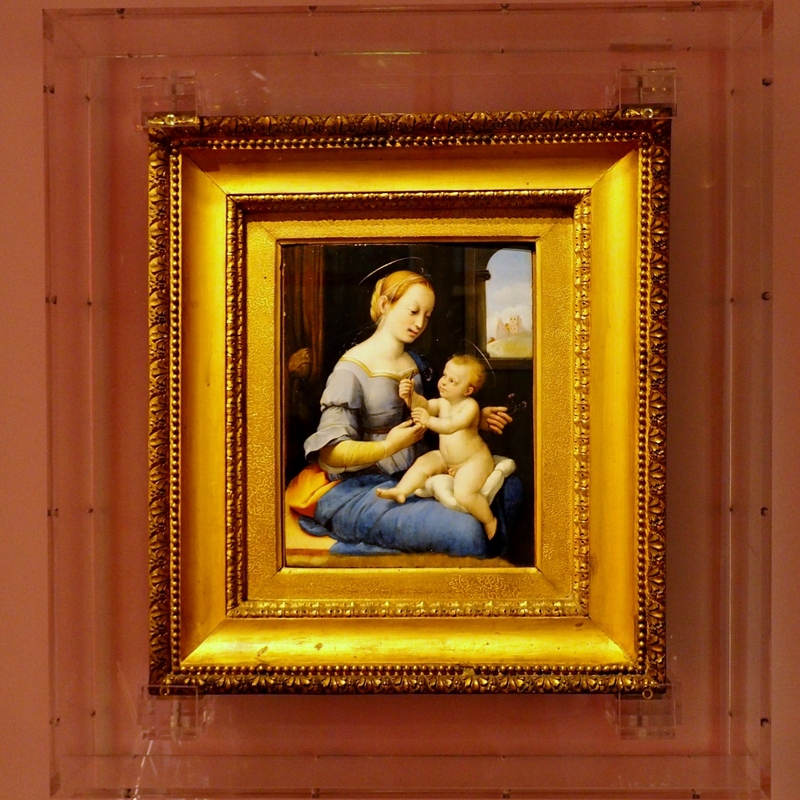 A version with a green curtain is owned by The National Gallery in London. Christ Blessing by Raffaello Sanzo da Urbino aka Raphael. The face is believed to be that of the artist himself. 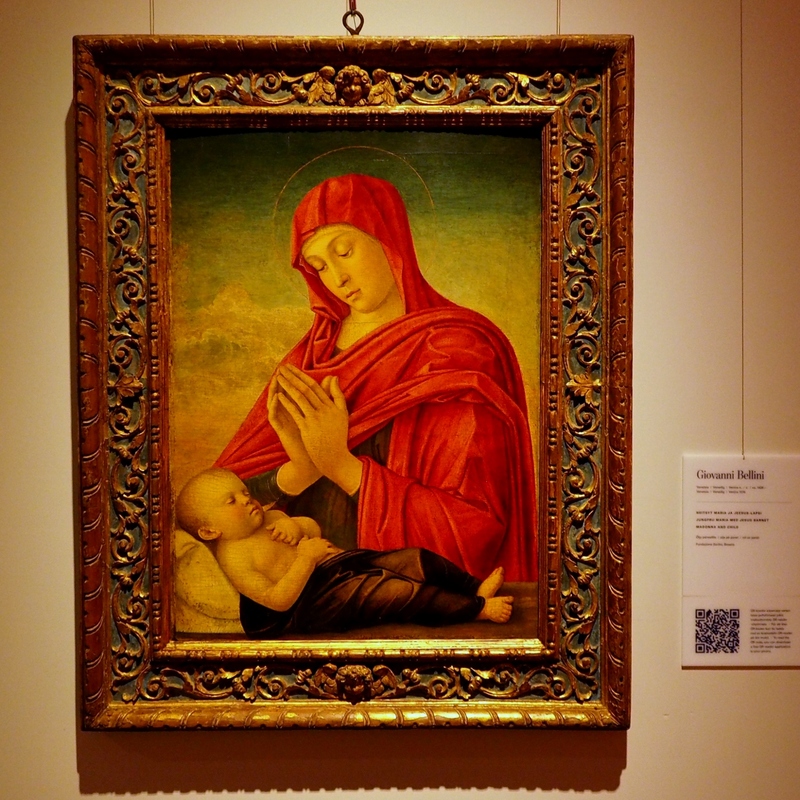 Madonna and Child by Giovanni Bellini. Portrait of a Lady as Salome by Alessandro Bonvicino aka Moretto. 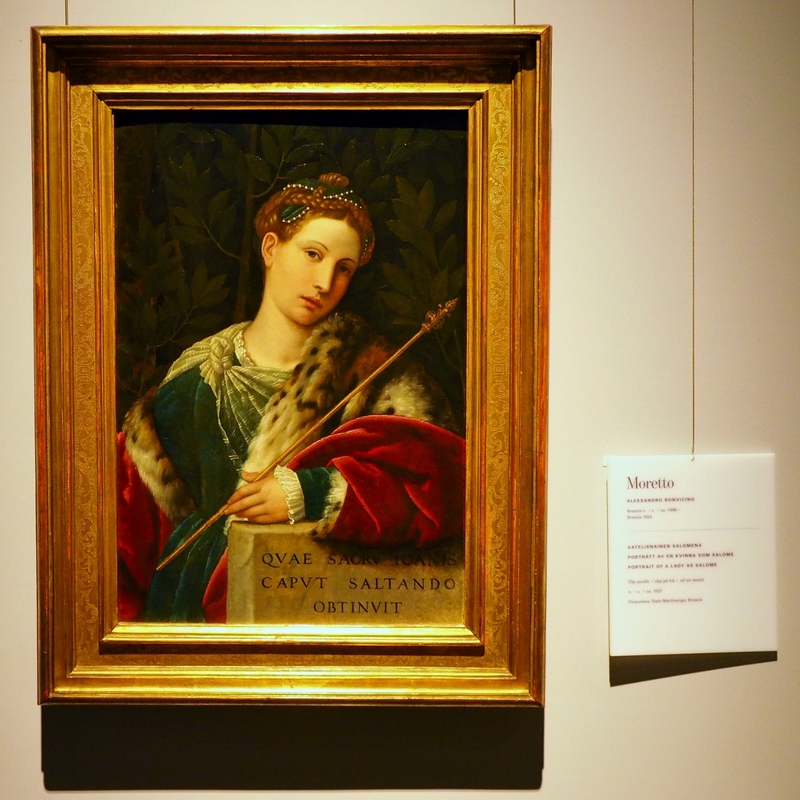 There are some Renaissance masterpieces from northern Italy on show at the National Museum of Finland in Helsinki. 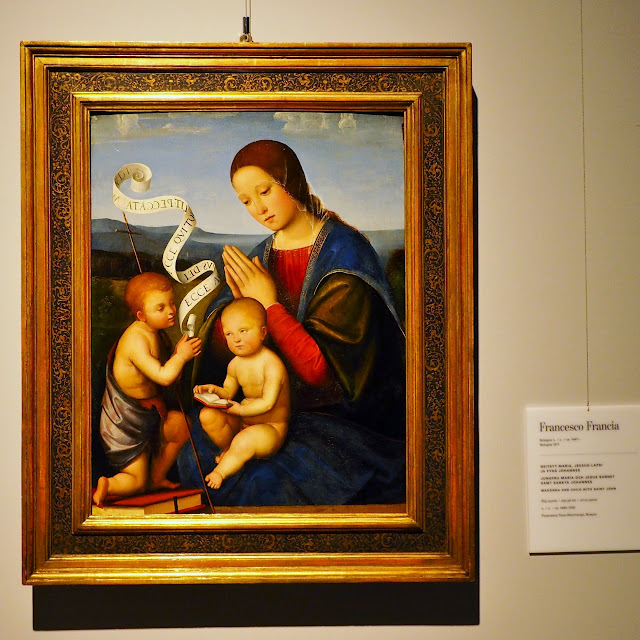 The exhibition includes some 50 paintings by more than 20 Italian artists who worked in Lombardy, Milan and Venice between 1500 and 1600. 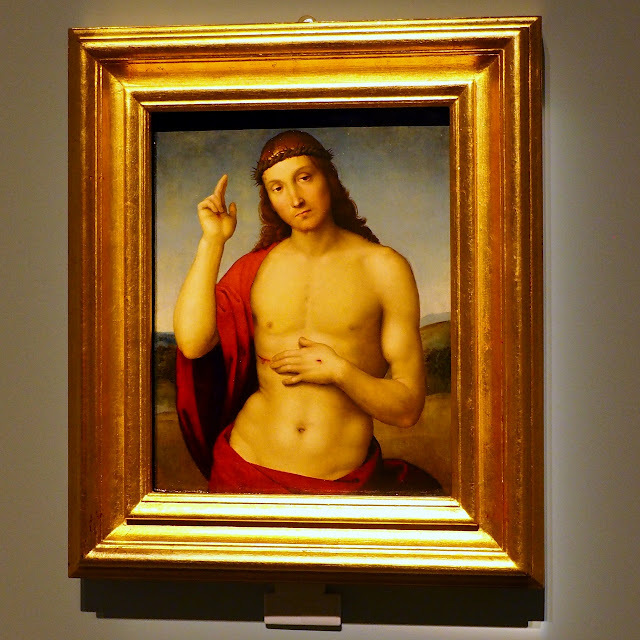 The star attractions, I suppose, are the above smaller-size religious paintings by artists such as Raphael, Francesco Francia, Giovanni Bellini and Moretto. 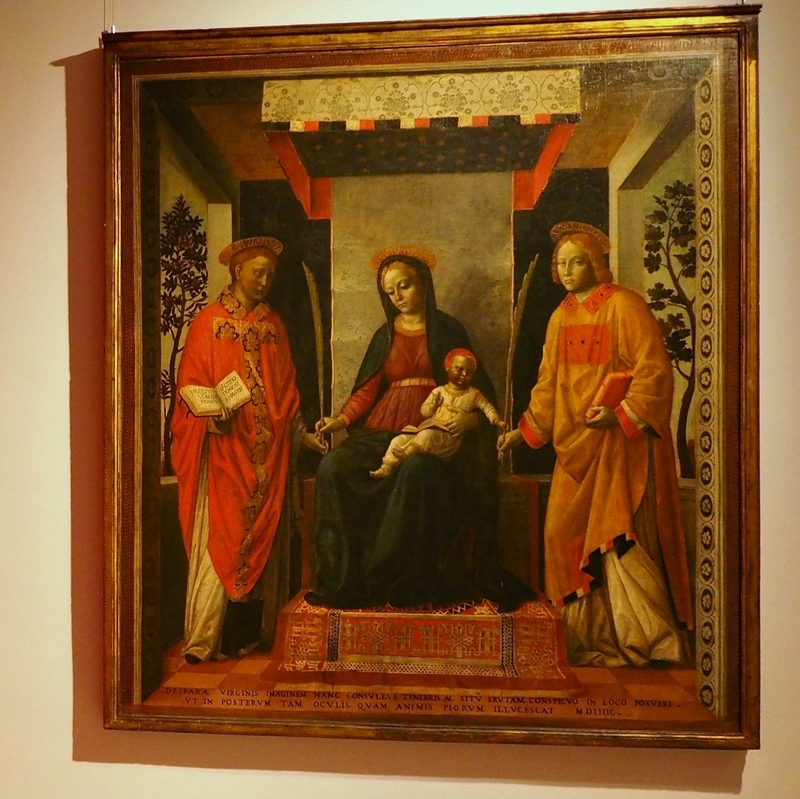 Madonna and Child between Saint Faustinus and Saint Jovita by Vincenzo Foppa. 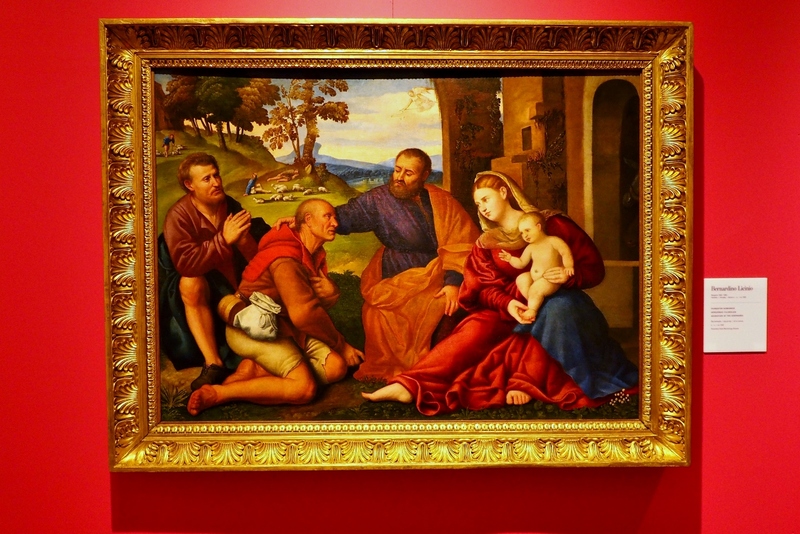 The Adoration of the Shepherds by Bernardino Licinio. Supper at Emmaus by Moretto. Christ Carrying the Cross by Girolamo Romano aka Romanino. Painting by Giovanni Cariani and an authentic armour from that time. As Renaissance marks the birth of science, painting started to be more realistic then. 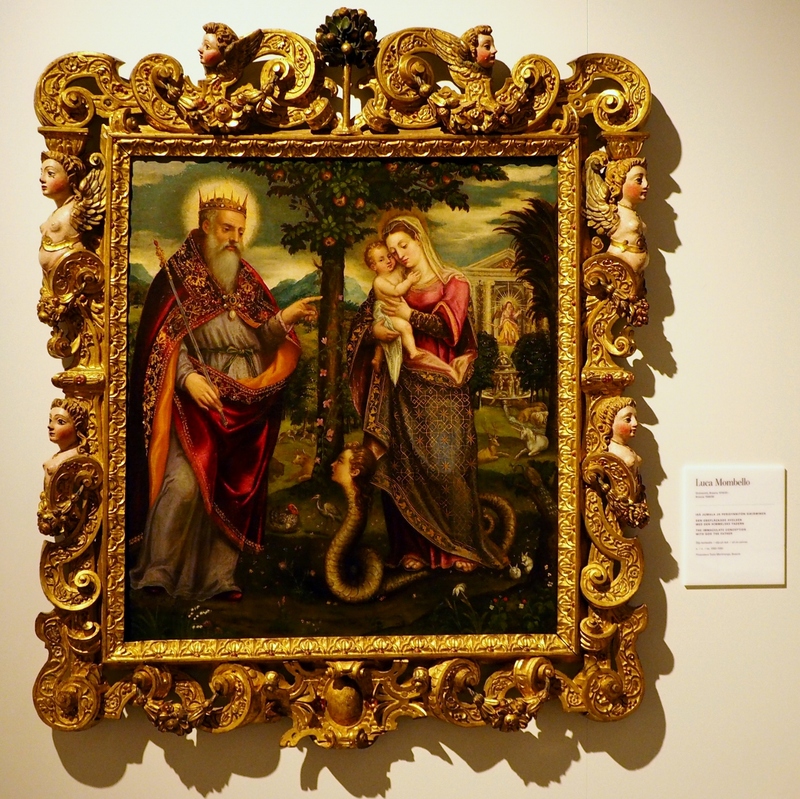 New, nonreligious themes were also introduced such as historical scenes and landscapes. 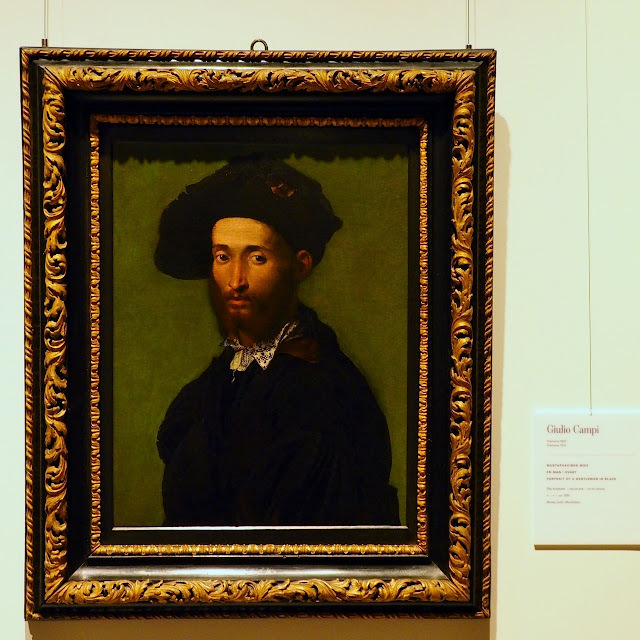 In addition, the exhibition shows quite a number of magnificent portraits as portraiture began to flourish at that time. The Man in Pink by Giovanni Battista Moroni. Portrait of a Gentleman in Black by Giulio Campi. 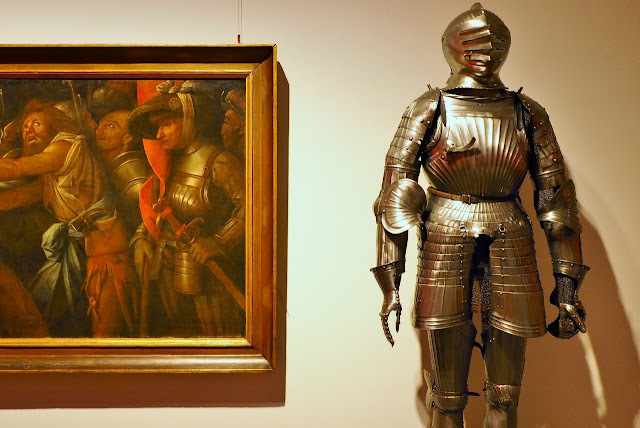 Portrait of a Man in Armour by Pietro Maria Bagniatore. 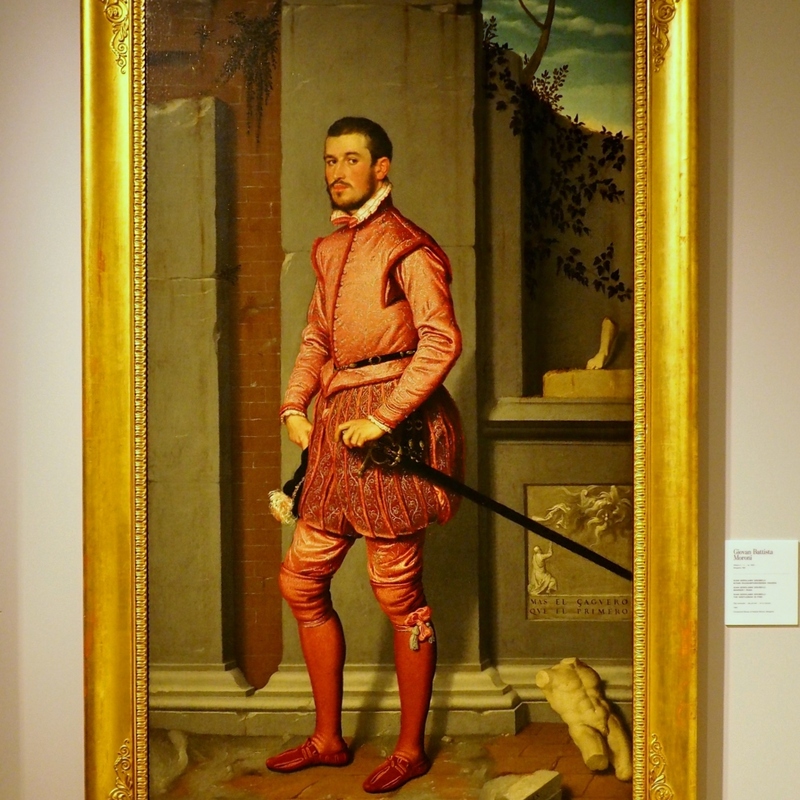 Portraits by Giovanni Battista Moroni. Most of the works at the exhibition are on loan from the Pinacoteca Tosio Martinengo gallery in Brescia, Lombardy. 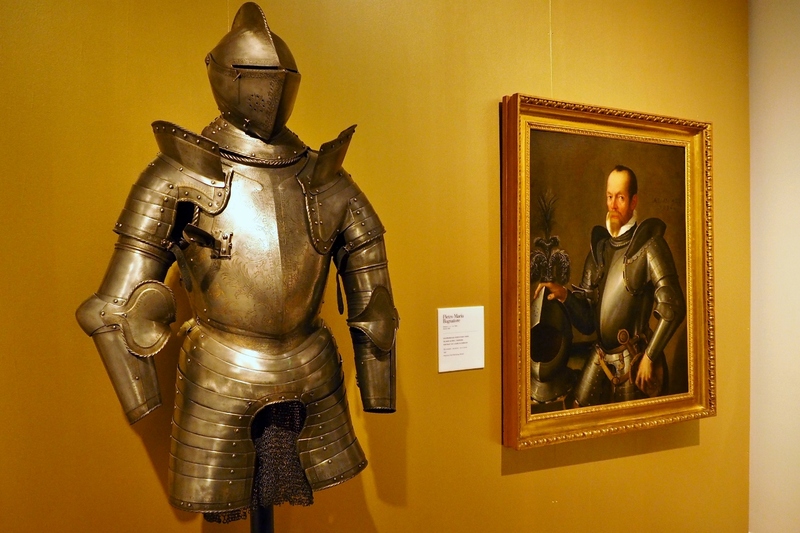 The gallery was founded in the mid-19th century to house the collections of two local noblemen, Count Tosio and Count Martinengo da Barco. 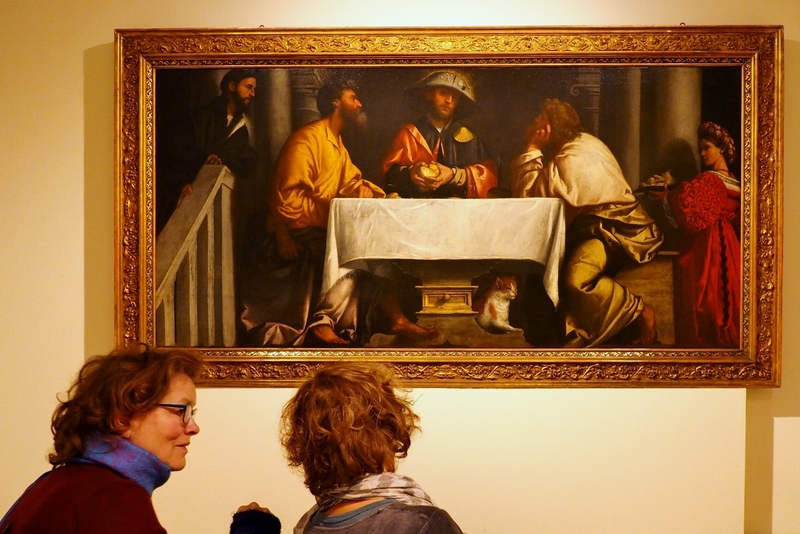 As it is being restored, this exhibition is now touring the world. 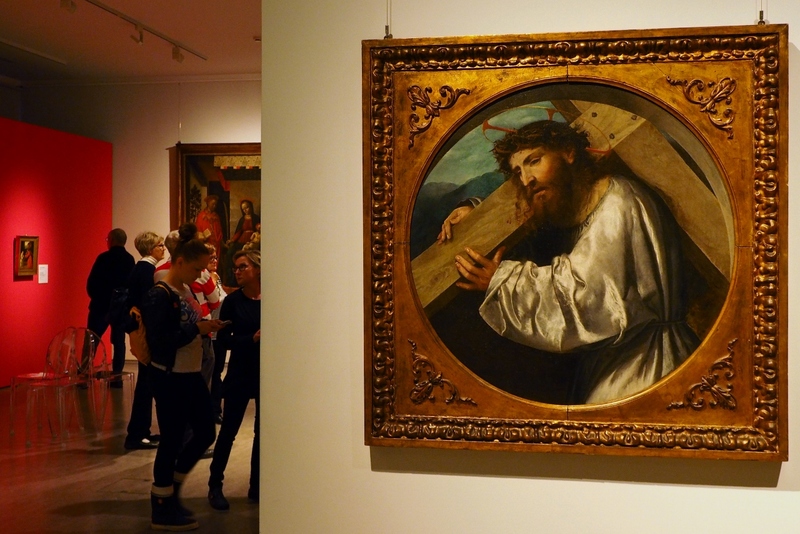 It travelled to Helsinki from the National Museum of Warsaw closing here in mid-January. It will then continue to the Rijksmuseum Twenthe in Enschede, the Netherlands, staying there from mid-February to mid-June, 2017. 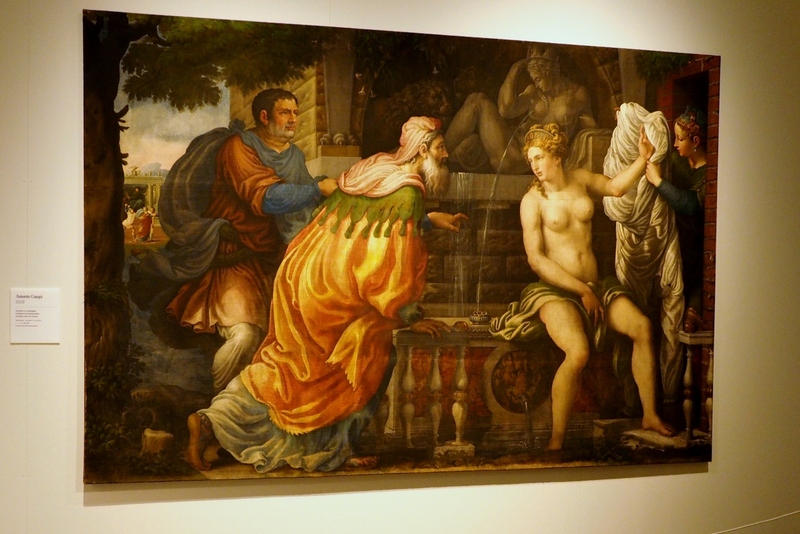 Susanna and the Elders by Antonio Campi. Although Renaissance at its most lavish is probably too much for the taste of most everyone (just have a look at the painting and its frame below) I do recommend a visit should the Raphaels, Titians and Tintorettos be taken to a venue close to you. 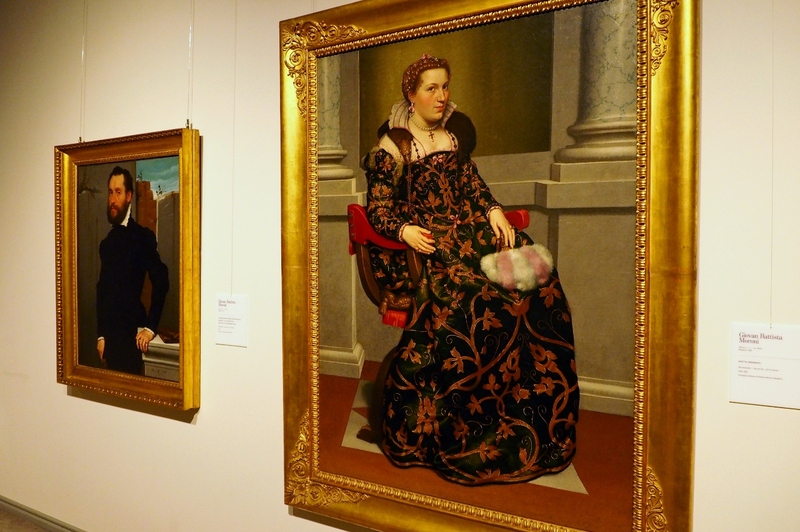 You will be able to sense Italy for a while but without any fear of an artistic overdose often inevitable at Italian museums. The Immaculate Conception with God the Father by Luca Mombello. Thank you, Barbara. I was planning a related contemporary post for that. How wonderful that Italy came to you in such a spectacular way! Not to mention that a few days ago an exhibition of Modigliani's works opened in Helsinki. So we will pay another visit to the capital soon.